Do you happen to know the model number? I them listed on Quantico and Sigapp, but the photos look like the rear is on the plate still. Was it $587? They may be using a stock photo of a standard X carry may want to call them. 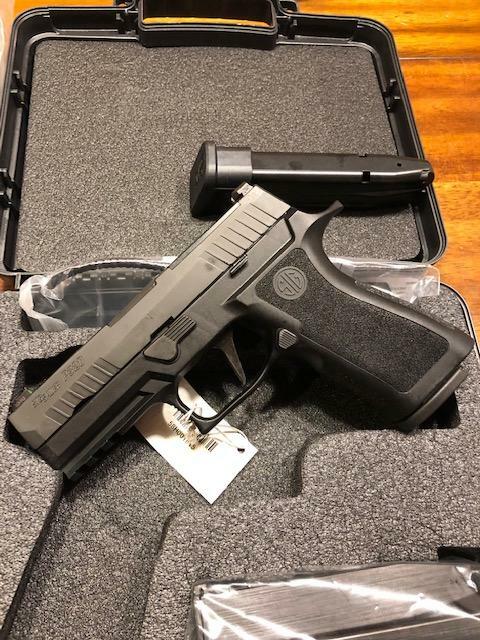 My local LE dealer has the full size in stock but has no idea if or when SIG will ship carry models. There has been some confusion about the Pro series pistols. Here is what the Sig LE rep has confirmed as of today. There are three Pro series guns, the full size, the carry model and a compact. All three are setup the same way with the rear sight dovetailed into the slide and separate RDS sight plate. None of the pro series guns have the lightening cuts. The full size has the full size X Frame, the carry has the X Carry frame and the compact will have the new X Compact frame. 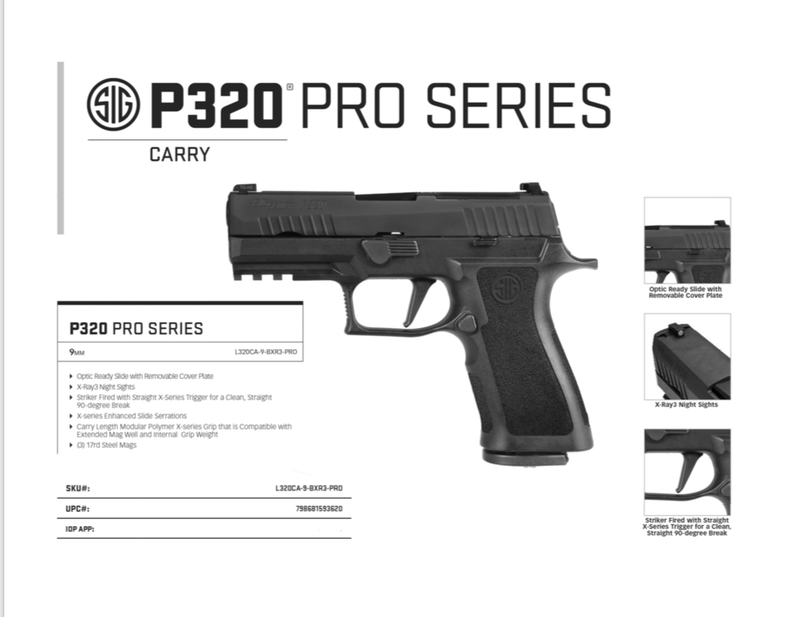 Here is the sheet on both the full size and Carry Pro Series guns. Note Sku numbers. Now for what has confused some, including myself, there are LE versions of the X full size, and X carry. They retain the rear sight and plate combination, the full size has a shortened dust cover, and both models do not have lightening cuts. They are denoted by a W at the beginning of their Sku numbers, and do not end with Pro. 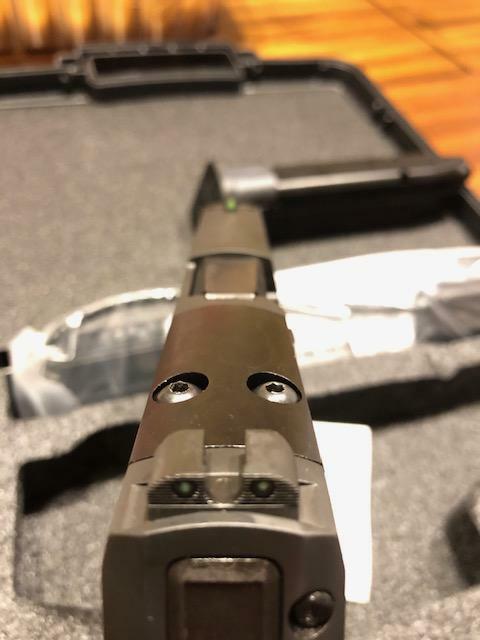 The main differences between the Pro series and LE versions is the rear sight options, one having a separate rear sight and the other having the combination sight and RDS plate. I was initially told by one rep, that there was a Mil Spec Version of the Pro series, but that has been corrected, there is no Mil Spec version. It is all clear as mud to me now. Last edited by Texaspoff; 02-12-2019 at 01:49 PM. 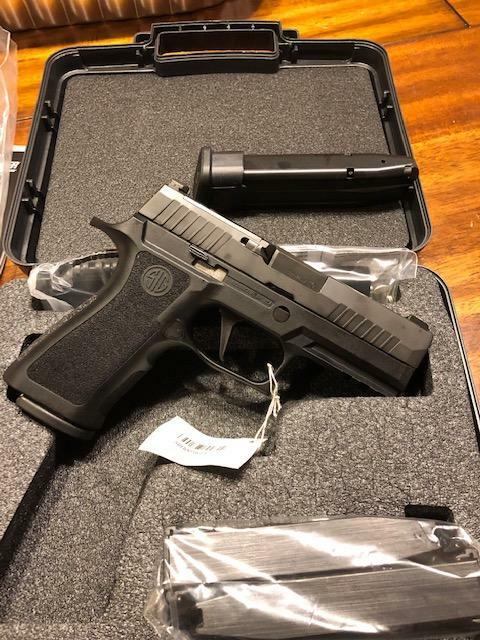 It will be interesting to see if the "Compact" version of this is the X Compact with the SUB Compact slide/barrel, or with the actual Compact (4") slide/barrel. Oops. Got mixed up and edited a stupid comment out. Last edited by cornstalker; 02-12-2019 at 08:36 PM. What I've seen is that it will be the compact frame with the sub-compact slide. It's not the odds, it's the stakes. 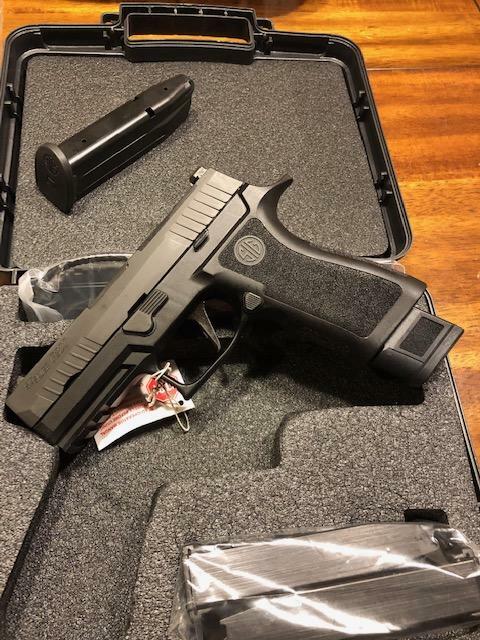 Same here, was told it will have the 3.6 subcompact slide with the new X Compact frame, IE 15 round mags. Placed an order for a pair of Carry Pros today. Hopefully they work out -- it's a pretty feature-rich pistol. With any luck I'll have a holster and the guns in hand by next weekend for a class. Got both guns in today. Both were manufactured 12/20/2018. There are no obvious cosmetic flaws that I noted. I cleaned and lubed both at the range and then shot 660 rounds (mix of HSTs, Gold Dots, and 147gr Lawman FMJ) through one and another 50 HSTs through the other. No malfunctions on either gun. The one I'm vetting I also deliberately limp-wristed WHO for several rounds. Both guns print about 2.5-3" high at 25yds with 147gr HSTs. Last edited by ssb; 02-18-2019 at 02:38 PM.